Toronto, ON., (February 12, 2014) – Toyota Canada entered this year’s Canadian International Auto Show with more awards for the long-term value of its vehicles than any other Canadian manufacturer, with 10 from ALG and seven from Canadian Black Book (CBB). These latest wins come a few months after Vincentric named Toyota the Best Value Passenger Car Brand for the second straight time, with 12 specific vehicles notching individual awards. 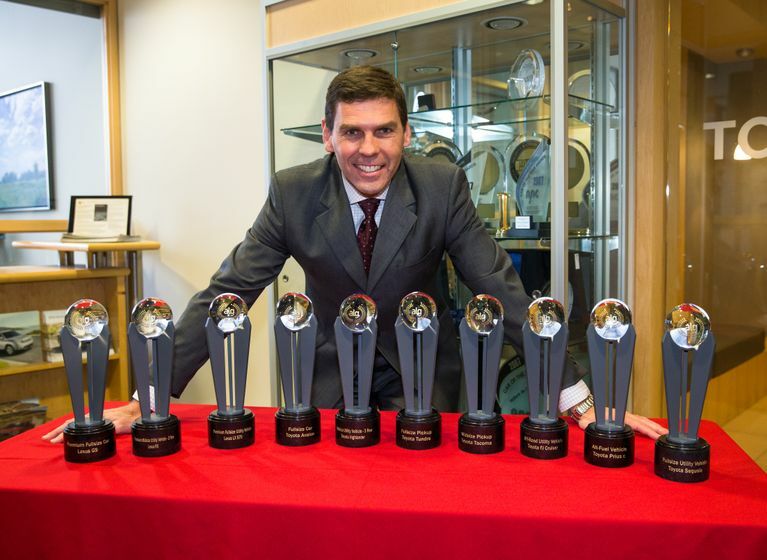 Retained value awards are a demonstration of Toyota’s reputation for quality, dependability, reliability and longevity. They reinforce the value of owning Toyota vehicles, not only at the time of purchase, but over years of ownership as well. For this year’s awards, Canadian Black Book analyzed 2010 model year cars and trucks and determined the vehicles that retained the highest percentage of their original MSRP after four years. For the Canadian Residual Value Awards from ALG, vehicles from the 2014 model year that are forecast to retain the highest percentage of MSRP over the next three years have been recognized. “These prestigious awards are profoundly meaningful to Toyota Canada because they let our customers know that they can truly count on the superior lasting value of our high-quality cars and trucks,” said Larry Hutchinson, Vice President, Sales, Toyota Canada Inc. The editors of Kelley Blue Book in the United States also recently announced that the Toyota Corolla (compact cars), Prius c (hybrid/alternative energy), and Tacoma (regular cab) – as well as Lexus (top luxury brand) – were selected for “5-Year Cost to Own” awards, with value determined according to total ownership costs.